If you’re not quite sold on the new Aston Martin DB11 and its twin-turbo 5.2 liter V12, Aston has just updated its range-topping Vanquish S to remind you it sill makes that glorious naturally aspirated V12. 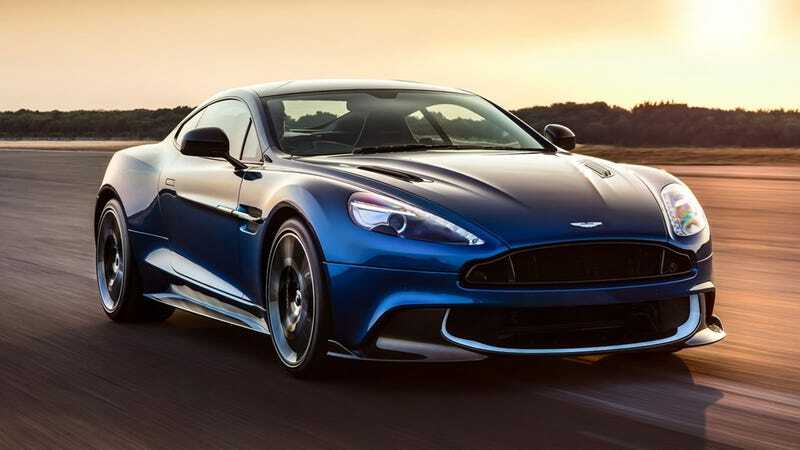 The exquisitely tweaked Vanquish S has been updated with a slew of engineering upgrades, including larger intake manifolds boosting the 5.9 liter V12 up 26 horsepower on the top end, totaling at 595. The 8-speed transmission has also been re-calibrated, the suspension setup has been sharpened, all of which has dropped the zero to 60 time down 0.1 second to 3.5, according to Car Magazine. On the outside, the car gets a face-lift and quad-exhaust singing out of the back, as well as some additional carbon fiber touches all around. There’s some minor updated options on the inside, including some amazing quilted leather work featured in the photos. According to Car Magazine, the refreshed Vanquish S is still available in Coupe or Volante, and will start at around $250,000.